Have Investment Grade Corporate Tenants Pay You Rent. NYSE & NASDQ trade corporations like Starbucks, Chipotle, Walgreens, CVS, Wells Fargo & Chase as your long term tenants. Investment Grade Real Estate as a fixed income investment with long term corporate leases. Guaranteed Long Term Leases 10+ Years ! Predictable Net Operating Income ! What Is Investment Grade Real Estate? Investment Grade Real Estate is simply a property that you own with a corporate credit tenant paying you rent, and committing to that rent for 10 plus years. “Investment-grade, long-term net-leases” refers to the primary aspects of a particular lease structure. “Investment-grade” describes the qualities of the tenant with which the lease is made. “Long-term” refers to the general length of the lease, and “net-leases” refers to the structure of the lease obligations. Investment-Grade: Investment-grade leases are leases to tenants that maintain a credit rating of BBB- or higher. 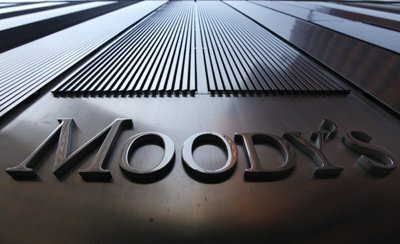 This investment rating is given by S&P’s, Moody’s, or Fitch, and it represents a company’s ability to repay its obligations. BBB- represents a “good credit rating” according to the rating agencies. 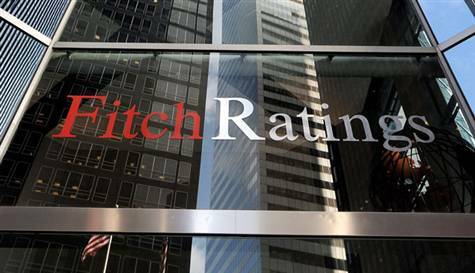 Typically, only larger, national companies maintain these stronger credit ratings. Regional tenants and franchises are too small for the rating agencies to track. Therefore, in most cases, it is recommended that your lease is corporate-backed — backed by the parent company and not just a regional franchisee. There is a very big difference between the credit and strength of a regional McDonald’s franchise owner and the McDonald’s Corporation. The corporate parent generally will provide greater rent stability in the midst of economic downturns. How long are corporate tenant leases typically? Rent stability also translates into greater stability for the value and price of your real estate. The price of your asset is directly tied to the income it produces and the likelihood of that income continuing for a future buyer. CONTACT US about corporate credit ratings. Long-term: Typically, “long-term” describes a fixed-length obligation in lease term at or beyond 10 years. Some brokers or advisors may include lease options as a part of the fixed lease term. It is important to distinguish between the options and obligations. If the tenant has the option to renew for 5 more years after an initial 5-year term, the lease term should be considered a 5-year lease with another 5 years in options — not a 10-year lease. Find out rent terms and how long the tenant is obligated to pay. It makes all the difference when considering your risk, returns, ability to obtain financing, and your ultimate ability to resell the property for a profit. Investment Grade Commercial recommends first time investor focus on remaining lease lengths of 10 years or greater. Net-Leases: Double-Net (“NN”) and Triple-Net (or “NNN”) leases are leases whereby the tenant is responsible for all operating expenses, including taxes, insurance, the structure, and the roof. A pure NNN lease that will cover these costs throughout the term of the lease is often referred to as an “absolute NNN lease.” Some leases are called “triple net” that do not include the expenses of the roof or structure of a building. These types of leases are more accurately referred to as “modified NNN” or “double-net” (“NN”) leases. It is important to differentiate lease types when considering investment property. Many brokers refer to both pure triple-net and modified double-net leases as the same type of lease. There is a very big difference! Roof and structure repairs can be very costly and may provide your tenant an early out for their lease obligations if the structure is not maintained properly. On the other hand, if you acquire a double-net property with appropriate warranties, you may be able to get a materially higher income than you would with an absolute triple-net. Most of our clients prefer to have absolutely no potential management issues whatsoever, thus IGC has a focus on investment in pure triple-net (NNN) leases, leaving all of the operating and structural expenses to the tenant. If you are willing to bear some potential management issues, modified NNN and double-net leases can be appropriate if the structure and roof are relatively new and if they come with substantial, long-term guarantees of quality and maintenance from the original installation company or developer. The increase in income you will enjoy with double-net over triple-net leased assets will typically more than pay for the cost of any potential management issues that may arise. Benefits of Investment-Grade, Long-Term Net-Leases Stability: Investment-grade, long-term net-leases can provide stability of income and value to investors despite difficult economic circumstances. The lease payments typically are backed by some of the country’s strongest corporations. Whereas smaller, regional tenants (or even individuals in apartment assets) may struggle to make rent payments, large, profitable, and well-capitalized companies are often in a much better position to maintain their obligations despite the economy’s twists and turns. This played out during the great recession where Investment Grade Credit Tenants maintained consistent income streams. A strong tenant tied to a long-term lease can significantly reduce an investor’s downside exposure in a volatile market. Predictability: By their very structure, long-term net-leased properties allow investors to predict, far in advance, their future stream of lease payments throughout the lease term. How does this differ than investing in Commercial Apartment Buildings? All of the terms, payments, increases, etc. are defined ahead of time in the lease agreement. Whereas an apartment complex may have to lower rents in light of the downturn as the leases come up every 6 to 12 months, the typical net-lease agreement is longer and tied to the strength of the company’s entire balance sheet. The typical net-lease length and credit backing provides investors with a more stable and reliable income stream. Simplicity: Long-term net-leases are generally simple to manage, as most of the operational, maintenance, tax, and insurance obligations fall to the tenant. The landlord is responsible to provide the real estate as agreed upon at the initial term of the lease. The maintenance and insurance are the tenant’s responsibility, and if the property is damaged, the tenant would be responsible to maintain and restore the property for their use at their own expense. With many absolute Net-lease lease agreements, the tenant must continue to make lease payments to the landlord even if their building is no longer operational. In summary, double-net and triple-net leases provide owners with simplicity and the ability to enjoy the benefits of real estate ownership without many of the major management headaches (tenants, toilets, trash, termites, etc.). Drawbacks of Investment-Grade, Long-Term Net Leases Single-Tenant Dependence: The largest drawback to investment-grade, long-term triple net leased real estate is that if your primary tenant defaults, it can be very difficult to find another tenant to replace the original. If financing is tied to the property, it can add significant stress to your cash flow as you continue to service your debt while finding another tenant. Additionally, the new tenant will require some level of tenant improvements–funds that are used to prepare the space for the new tenant’s specific floor plan and setup. Upside Limitations: The same benefits that provide stability and downside protection also provide a limit to your upside potential. Unlike apartments or commercial property with shorter-term leases that can be increased consistently with an increasing market, long-term net-leases are fixed for extended periods of time that do not allow for reactions to short-term market fluctuations. Therefore, it is rare for a long-term net-lease investor to experience tremendous upside appreciation upon reselling the asset. Though there are often rental increases as part of the contractual lease obligation, these rental increases are typically limited to 1-2% per year or even may be entirely flat with no increases for certain tenants. How do Investment Grade Deals Perform During Various Economic Cycles? Market Rebound: An investor may get more upside out of this type of investment during instances of heavy discounting due to market turmoil (what we experienced in 2009-2011). During periods of market turmoil, opportunities can be created when sellers are forced to dispose of their strong assets at a discount to raise capital for their other portfolio needs and cash shortfalls. This phenomenon allows prepared investors to take advantage of market discounts and get more favorable prices and lease terms than would have been otherwise available in a stronger market. Please note that this is no longer the market we are experiencing! Generally, the net-leased market has stabilized and pricing has returned to peak levels in most instances. This has happened primarily because interest rates have remained extremely low and investors, in general, have been looking for yield wherever they could find it. Net-leased real estate backed by investment grade credit tenants has become very popular for investors who want the downside protection of investment grade tenants but a higher yield than they could get with a corporate bond. During the financial crisis the credit tenant sector out performed all other real estate sectors including residential, multifamily and office. Long term leases with the highest graded tenants provide the most conservative investors the stability and predictability that they desire during all economic cycles. What else should I consider when investing in real estate with corporate tenants? The strength of a tenant or lease terms does not eliminate the need for proper research and due diligence on a property’s location. Real estate is driven ultimately by demand. Commercial real estate is largely driven by its ability to provide consistent, reliable, and increasing income. Income is driven by a tenant’s desire to take space in a particular location, and income is increased and made more secure when that tenant demand is consistent, increasing, and spreading to a growing number of participants. Tenant demand is driven by their ability to make a profit in a particular retail location, which is tied to the income growth and consumer traffic of the area. Income growth and consumer presence is directly tied to the job growth and population growth concentrated in the particular area. At the end of the day, we can target which areas will receive strong tenant demand and real estate rental growth by tracking population and job growth as the primary determinants of consumer demand for a particular location. Therefore, we arrive back to three most important aspects of all real estate: location, location, location. The location must not only provide consumer and commercial demand, but it is also wise to ensure that a particular property location is important to the parent corporation. 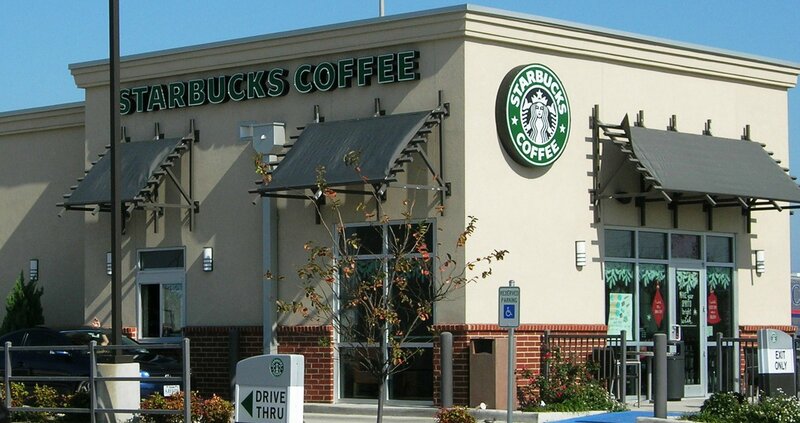 For instance, when Starbucks decided to close more than 600 stores nationwide, it chose the assets that were losing money–that were not vital to operations. If possible, determine how well a particular location is performing for the corporation. It may be difficult to get these numbers, but it may be possible to survey the amount of retail traffic and consumer business conducted at that particular location. When we assist our clients in locating suitable replacement property, we seek to provide them with properties that have strong tenants, strong lease terms, and strong locations. Who rates the various corporate tenants that I can choose from? Balance Sheet Strength: Investment-grade ratings are not enough to determine a tenant’s strength! Credit ratings can be used effectively to weed out weaker tenants yet should not be relied upon solely to choose viable tenants. Investors must consider the company’s financial statements to make a suitable investment determination. Companies with an investment-grade credit rating have balance sheets, statements of income, and statements of cash flow that are publicly available. It is important to understand a tenant’s current assets, cash equivalents, and liabilities. In other words, how much cash do they have on hand? What liabilities are they going to have to pay into the future? Are they heavily indebted? Is their revenue subject to decline? Are their expenses rising materially? Each of these questions should be answered before an investor makes the decision to depend upon the company’s abilities to meet its obligations. We encourage our clients to have a CPA review the tenant company’s financials before they make their investment decision. Business Strength: “Business strength” refers to a company’s ability to generate ongoing revenues through its primary operations. A company may have a strong balance sheet and an investment-grade credit rating, but if its primary business is facing risks of obsolescence, intense competition, major trend changes, financial pressures, or government interference not previously experienced, it may be best for an investor to pass. Avoid the risk if the company cannot shift its business quickly enough to avert major operational and fiscal issues. Our clients often target those companies that provide necessity products and services such as food, groceries, gas, pharmaceuticals, healthcare and medical supplies, discount clothing, discount domestic and home improvement supplies, discount automobile supplies and repair, transportation and information carrier services, and infrastructure and utilities equipment and services. While we believe that there are certainly other types of companies that can do well in stronger markets, we believe that sticking to consumer necessities will help protect our clients from initial and ongoing effects of a downturn. Yes investment grade tenants do offer stable income. In some ways, triple net properties are as much fixed-income investments as they are real estate vehicles. Offering little to no management responsibility and long-term fixed incomes with the potential for gradual increases, they act like bonds. However, underlying their financial structures, they are still real estate and carry the same eventual risks and challenges. Triple net leases are usually structured with a flat rent or with fixed increases. When you buy a $2,000,000 property at a 7.5 percent cap, you know that you can count on $150,000 per year for the life of the lease. Many triple-net properties also have rent increases of 1 to 3 percent per year built-in. They provide some growth, but don’t necessarily keep up with inflation. However, this is no different from buying a corporate, Treasury or municipal bond with a fixed rate of return. Are the Cap Rates Attractive? Yes, Single Tenant Cap rates are attractive relative to other investments and real estate asset classes. Depending on the tenant and their investment grade, location, and lease length single tenant properties typically trade at attractive cap rates that are hundreds of basis points above comparable non-real estate investments. They’re also frequently priced lower than more traditional investment real estate alternatives on a cap rate basis. Depending on the investment grade of the tenant you choose typically the safest most conservative tenants have Cap Rates of 5%-6% but cap rates can be upwards of 7%-9% for certain tenants and and lease types. Keep in mind you actual Cash and Cash return will be higher if you use leverage to finance your real estate acquisition. How much management responsibility is their in owning real estate with corporate tenants? True triple net properties are structured so that the owner has no responsibilities whatsoever during the lease period, while others transfer some capital expenditures to the owner. In either case, the ownership experience is very different from traditional real estate . Most of IGC investors are busy professionals that want a completely hands off management experience. Some our doctors or dentists with their own practices or entrepreneurs with other business interests. Many former residential real estate investors prefer limiting their management as they have grown tires of trying to lease apartments or single family homes every 12 months, deal with constant repairs, and tenant issues. How much risk is involved in this type of real estate investment? Most triple net properties come on the market with a lease of at least 10 years, with some having initial terms as long as 25 years. This gives you a long time during which you don’t have to worry about partial or full vacancy. The drawback is that when the lease does expire, it’s an all-or-nothing proposition. The same occurs in the event of a tenant default, although careful due diligence before purchase can reduce the risk of this occurring. 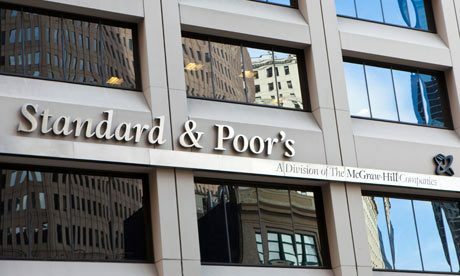 To mitigate risk Investment Grade Commercial has a special focus on Credit Tenants with S&P Ratings that have less that a 1% Chance of default. Contact Us for a free consultation. Depending on how much capital you have to invest we have two ways to invest in Corporate Tenants. The first is where you ( and/or you and your partners ) acquire and own a property outright. We certainly continue to recommend this type of investment for clients who are in a 1031 or 1033 exchange situation and who must place capital now to defer taxes. We also can recommend portfolio strategies that provide our clients with the income and stability of net-leased investments, but w shorter-term liquidity potential in alternative real estate investment trusts specializing in diversified investment grade real estate portfolio’s.